Whether on bumpers, mirror cases or hubcaps  when cosmetic damage to paintable plastics needs to be repaired, this plastic primer filler is the right solution. It provides the perfect substrate for efficient and economical wet-on-wet refinishing. Furthermore, it can also be used as sanding filler or as primer under plasticised 2K primers. 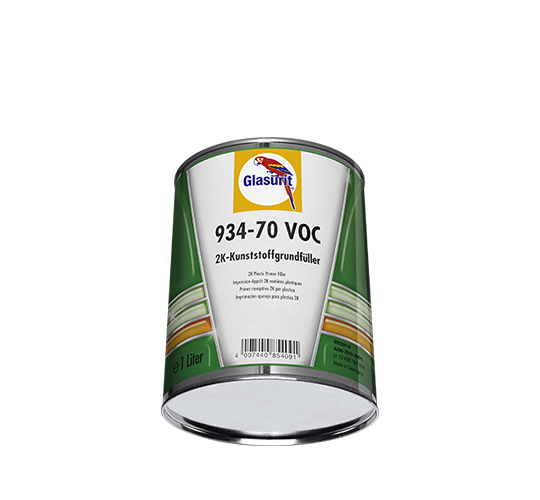 As part of the Glasurit system, 934-70 VOC can be overcoated with all Glasurit basecoat systems.